This year BINUS UNIVERSITY will conduct the biggest international event at BINUS. 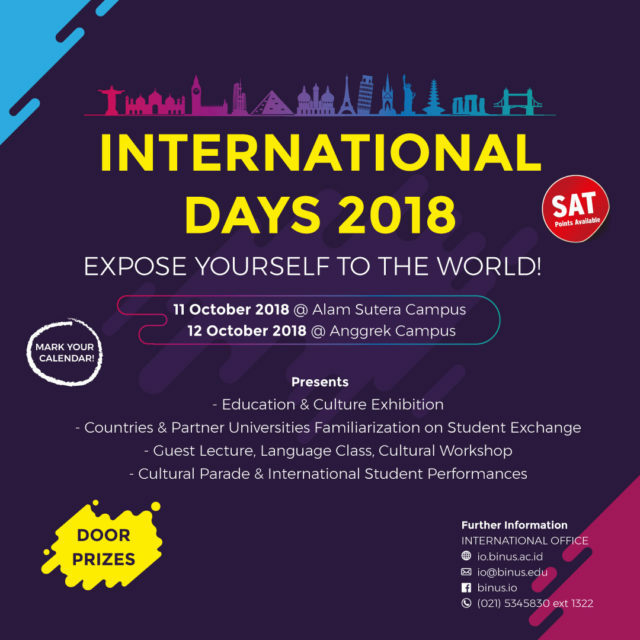 International Days is an event for BINUSIANs as well as for public audiences who will be introduced to diverse countries and university partners. Through this event we hope to inspire students to understand, acknowledge and appreciate various cultures and to embrace the opportunities to study abroad.